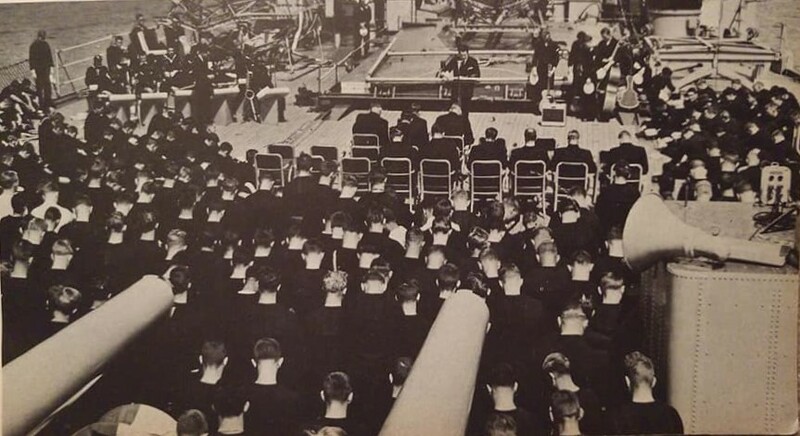 This article from a 1963 Navy magazine gives a period snapshot of chaplain ministry on ship and shore in the Pacific. It includes information on the number of chaplains from different faith groups serving, requirements to become a Navy chaplain, chaplain kits for ship and field and other items of interest. “Throughout the Pacific Navy chaplains are organizing services in observance of Easter Sunday. “In the hangar bays of aircraft carriers, in mess deck spaces and troop compartments of smaller ships, and at remote island bases, religious services will be available to the Pacific Fleet’s 250,000 Navymen and Marines, no matter where they are. “Easter in the Pacific is a reflection of Fleet religious activity conducted throughout the year by ordained minsters, priests, and rabbis who wear the naval officer’s uniform. “In the Pacific, 65 chaplains are Catholic priests, 173 represent Protestant denominations, and four are Jewish rabbis. “Sixty serve at shore installations on the U. S. west coast, in Hawaii, the Far East, and at isolated Pacific islands; 73 others serve the Pacific Fleet Marine Force, and 109 are assigned to seagoing units. “Supervising Pacific chaplain activities is CAPT Robert W. Coe, CHC, USN, who, with an office at Service Force headquarters at Pearl Harbor, Hawaii, serves as SERVPAC Force Chaplain and Fleet Chaplain. “Each chaplain is responsible for the spiritual health of approximately 1100 men. Most conduct more than one service each week. For example, a chaplain attached to a destroyer division of four chips will hold Sunday services on board each of them. “Ship-to-ship travel is accomplished by means of helicopter, motor launch and highline transfer. The latter method is used most frequently. “Because of heavy travel schedules, Pacific Fleet chaplains use portable service kits. One, carried in a suitcase that opens into a small altar, is complete with cross (or crucifix), chalice candlesticks and Bible stand. “Another, primarily for use in the field, contains the same equipment with the exception of the folding altar, and is carried in a canvas pack rigged with shoulder straps. “The Navy adheres to set criteria in selecting chaplains. Each must have completed four years of college and at least three years at a theological seminary. In addition, each must be ordained by his church, and have church approval for Navy service. “New chaplains are automatically commissioned LTJG instead of ENS, because of their many years of preliminary schooling. After they are commissioned, they follow the same promotion procedure as that for general line officers. “Also conducting services throughout the Pacific Fleet are more than 400 lay leaders of all faiths. These men, ranging from junior enlisted men to senior officers, lead divine services in the absence of a chaplain or organized church. They function primarily at sea aboard small ships or in the remote areas of the Pacific. They are selected by their commanding officers on the basis of their known religious interest, desire and moral character. 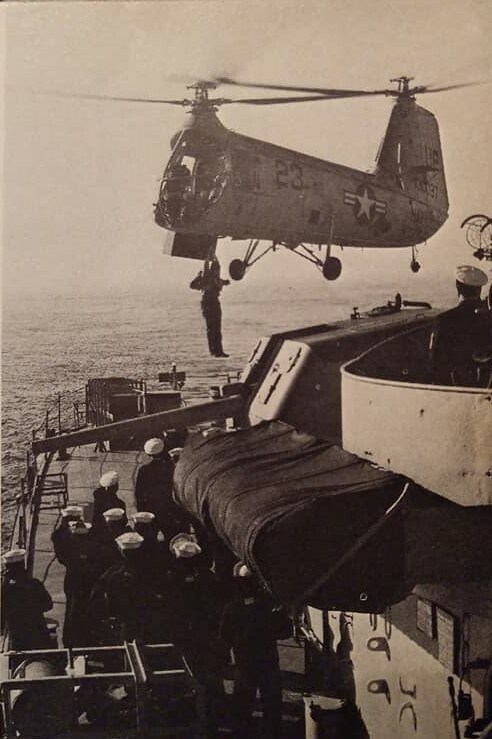 *Written by Churck Brown, JO1, USN and published in All Hands, The Bureau of Naval Personnel Information Bulletin, April 1963, page 15. Photos from All hands, The Bureau of Naval Personnel Information Bulletin, April 1963, page 15.